Is Your Child Outgrowing Her Generic Concerta Dose? I used to be a huge fan of generics. They save money, right? They are equivalent to the brand name, right? That’s what I’ve always been taught and what I teach. I’ve been jaded by many problems and now disagree with the above. Generics aren’t always cheaper than the brand name. Some generics are not equivalent to the name brand. 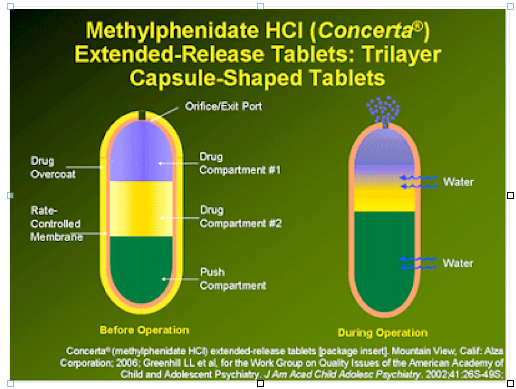 A recent discussion on a psychology/pharmaceutical listserv I follow brought up the issue of generic Methylphenidate HCl not working as well as the brand name Concerta. Several members had some great insight into why this is. The discussion peaked my interest in the issue and I started looking online for information earlier this week. Ironically today I went to pick up a family member’s medicine. We have filled at the same pharmacy previously for generic “Concerta” and have always gotten the equivalent generic. When I looked at the pills in the bottle today, I told the pharmacy tech they weren’t OROS (see below). She looked confused. She had no clue what I was talking about. Generics for Concerta (Methylphenidate HCl) might have the same active ingredient, but have a completely different time-release system, resulting in varying drug peaks in the bloodstream. The original Concerta (from Watson pharmaceuticals) uses a special technology to time-release the active drug. This time-release technology is called OROS (osmotic controlled release oral delivery system). There are several other time-release methods. The active ingredient may be imbedded in various substances from which the medicine must exit slowly or a gel cap is filled with beads that dissolve at different rates. 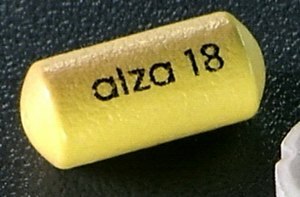 With the technology used by Concerta, the capsule IS the time release. It doesn’t dissolve. The medicine is slowly released through a small hole in one end of the capsule. The pill works like a pump, pulling in water from the intestines, pushing the medicine out of the tube slowly throughout the day. See this photo from Medscape. I have recently learned that not all generic formulations of Methylphenidate HCl are using this technology. This alters the time-release nature of the active medicine. For some people this substitute might be just fine, or even preferable. But if it seems like your medicine isn’t lasting long enough, has times that it works well followed by times it doesn’t until the next peak, or any other problems — check your pills! You can tell the difference by closely looking at the capsules. 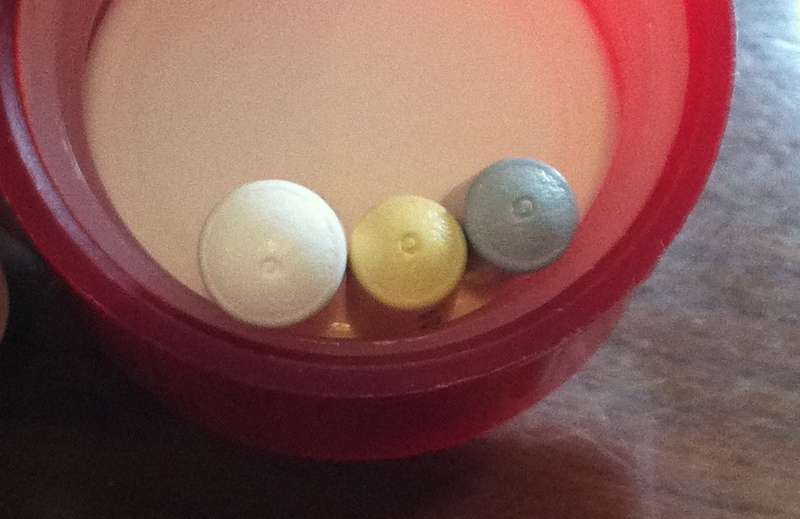 The OROS capsules are a unique shape, a little more blunted than a standard capsule. If you look really closely at the ends, you will find that one has a “dimple” where there is a small hole covered by a thin layer matching the rest of the capsule. I just happen to have at least one of three dosages. So if any medicine doesn’t work like it used to, look closely at the pill itself to see if it is the same as previously. If you don’t have any left, ask the pharmacy for the company / maker of the medicines you’ve filled over the past several months. Let your doctor know if you can’t use a substitution so they can specify “Watson brand only.” If the new “brand” works better, be sure to ask for that manufacturer. Do not ask your physician to simply increase dosing, because with the next prescription you might get the OROS pill, and the new dose will be too high. Ask which manufacturer makes the generic for Concerta sold at your pharmacy. Watson Pharmaceuticals is the one that is approved by Ortho McNeill Janssen Pharmaceuticals to market the OROS system pills. Mallinckrodt markets another type (not OROS) in the US. If your pharmacy doesn’t use your preferred pill type and you plan to shop elsewhere, be sure to let them know why! Reporting Adverse Events: If you have an issue with the duration of action of a different brand of Methylphenidate HCl you should report it to the FDA. This will allow them to review cases and possibly stop the substitution of these non-equivocal products. 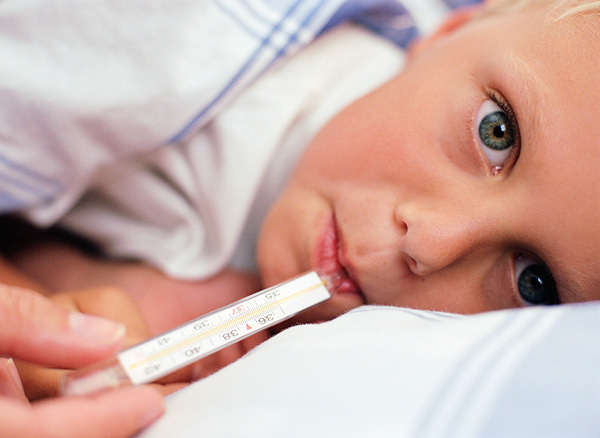 Click on this link for the MedWatch Report. The Pre-MMA 180-Day Exclusivity Punt? What Gives? A legal blog explaining how medicines lose their exclusivity and can become generically available, specifically the Concerta dispute. How To Tell The Difference Between Concerta and Generic Concerta A Canadian ADHD blog provided the picture of how to recognize the difference. Generic formulations have been available in Canada years prior to in the US. Special thanks to the members of the Child-Pharm listserv! Will Having a Baby Stand Make Them Bow Legged? I am surprised how often I am asked if having a baby “stand” on a parent’s lap will make them bow legged or otherwise hurt them. Allowing babies to stand causing problems is one of those tales. If an adult holds a baby under the arms and supports the trunk to allow the baby to bear weight on his legs it will not harm the baby. Many babies love this position and will bounce on your leg. It allows them to be upright and see the room around them. Supported standing can help build strong trunk muscles. Tummy time: Place baby on his tummy on a flat surface that is not too soft. Never leave baby here alone, but use this as a play time. 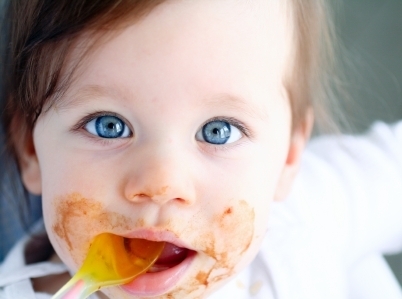 Move brightly colored or noisy objects in front of baby’s head to encourage baby to look up at it. Older siblings love to lay on the floor and play with baby this way! Lifting gently: When baby is able to grasp your fingers with both hands from a laying position, gently lift baby’s head and back off the surface. Baby will get stronger neck muscles by lifting his head. Be careful to not make sudden jerks and to not allow baby to fall back too fast. Kicking: Place baby on his back with things to kick near his feet. Things that make a noise or light up when kicked make kicking fun! You can also give gentle resistance to baby’s kicks with your hand to build leg muscles. Sitting: Allow baby to sit on your lap or the floor with less and less support from you. An easy safe position is with the parent on the floor with legs in a “V” and baby at the bottom of the “V”. When fairly stable you can put pillows behind baby and supervise independent sitting. Chest to chest: From day one babies held upright against a parent’s chest will start to lift their heads briefly. The more this is done, the stronger the neck muscles get. This is a great cuddle activity too! What were your favorite activities to help baby grow and develop strong muscles? Are You A Little Confused About Car Seat Rules and Regulations? Many parents are confused by car seat rules, regulations, and recommendations. For many it is a rite of passage with the first birthday to turn kids around forward facing. Then they move to a booster before kindergarten and they loose the booster on their 8th birthday. What is magic about any age that allows a child to sit in the next level of seating? 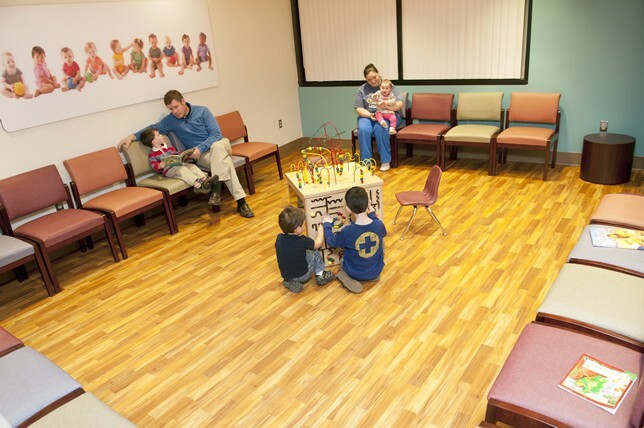 Kids vary greatly in their size at these ages, yet age seems to determine seating for many kids. We don’t pick clothing based on age. Shoes are not worn based on age. Why don’t we fit kids into cars as carefully as we fit them into clothing? There is so much misinformation out there, it’s no wonder people are confused! And it’s not only confusion, but parents make choices based on so many other factors. For some it is convenience for themselves ~ it’s easier to let a child self buckle in a booster. Sometimes the numbers of kids combined with the size of the car simply don’t allow rear facing for the tots. Many parents simply want to give up the fight with kids as they fight to grow up into the next step. So many temptations for parents to move onto the next level before kids are ready. I understand, really! It was a fight to get my kids into car seats (forward and backwards) as infants and toddlers. They would arch their back and I felt like I would break them as I pushed on their middle to force them back while I pulled on arms and buckles to force them in. I can’t tell you how many times my daughter at 10 years/5th grade complained that she was “the only one still in a booster!” She just recently (finally) can fit into some seats without a booster, but the seat needs to be narrow. Thank you, growth spurt! Because there is often mention in the car seat instruction manual that kids can turn around at 1 year and 20 pounds, many parents think kids must turn around at that age/size. This is not true per car seat safety testing (unless the seat is older and has lower size restrictions- and then it should be replaced). It is not required by law in any state or safe by safety standards to turn around at this age/size. The head size of toddlers is still very large compared to their body. The force on the spinal cord is much greater for a toddler in a forward facing crash due to the larger head and lower muscle strength compared to older children and adults. The kids hate being rear facing. The legs are too long. I find that many kids are perfectly happy rear facing. Others are not happy being strapped in period. Either way, sometimes what kids like isn’t what’s best for them. I just want kids to be the safest they can be! Parents worry that once the legs can reach past the seat that rear facing is not safe. That sounds reasonable: the long legs would be squished or uncomfortable for kids. While it is true that most kids will outgrow the rear-facing seat due to height before weight, it is okay to remain rear facing as long as they fit the limits posted on the side of the car seat. Read your manual. If you can’t find it, look online. Studies have shown that kids are 5 times safer rear facing! Even if they kick the back of the seat. In Sweden they keep kids rear facing until 4 years of age! There are many sources of confusion with car seats and boosters. The law does not equal the recommendations by safety experts and it differs from state to state. The law is the minimum requirement for buckling kids in car seats. The law does not necessarily mean the safest way to buckle the kids up. 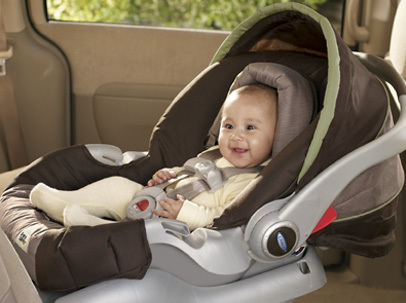 Car seats and boosters vary by age and size limitations, there is no standard. Cars vary in the size and angles of their seats, making the car seat or booster fit differently in every model of car. Most states (29) do not require kids to wear helmets on bicycles, yet we know that they save lives. Only 20 states require all motorcyclists to wear helmets. Only two states prohibit children under 1 year from riding on a bicycle/carrier. Three states have no booster seat laws. Only 5 states have seat belt requirements in school buses. Kansas law allows tots to turn forward facing at 1 year and 20 pounds and allows kids over 4 years to ride in booster seats. Keep kids rear facing until they are at the maximum height and weight of their rear-facing car seat. If the car seat does not allow rear facing until at least 2 years and 30 pounds, buy another seat. Kids can be forward facing in a 5 point harness from 2 years/30 pounds (or bigger if your seat allows rear facing longer) until they are at least 40 pounds and 4 years of age (many seats will harness larger children). The harness is always safer, but when a child can sit still, not unbuckle self inappropriately, sit without leaning forward/to the side, and the shoulder and lap belts fit them appropriately, then they can sit in a booster with the seat belt. Kids can sit without a booster when they can pass the 5 Step Test. For more on why they shouldn’t graduate out of a booster too soon, check out this great page on The Car Seat Lady. Kids should never sit in the front seat until they are teenagers (or the size of a teen). Never turn off the air bag to allow kids to sit up front. Think for a minute: why are airbags there in the first place? To save lives! People in the front seat are MUCH more likely to be injured/killed in a crash. If the child is too short and the airbag will hit them in the face instead of the chest, they need to be in back! Never buy a used car seat or booster seat from someone you don’t know well. You cannot guarantee it has not been in an accident and you should not use a seat after an accident. Do not use expired car seats. They expire in 5-8 years due to breakdown of the materials of the seat, older technology, and unavailability of replacement parts. Check the labels on the seat for expiration date or use 6 years from date of manufacture. I wonder how long it will be before the safety recommendations are even stricter: rear facing until 4 years like Sweden? I always joke that the babies born today will drive backwards by joystick by the time they can drive! Don’t let your kids take the lead with decisions. Don’t do what the neighbors do. Do what you know is safest for your children. Their lives may depend on it! Do you ask if the adults supervising your children have had background checks? Recent news about a well known person repeatedly sexually abusing children over many years has many parents angry, confused, and simply aghast. Many of us feel like we do all we can to protect our kids and our kids aren’t at risk, yet statistics show that any child could be a victim. Studies reveal that about 20% of women and 10% of men experienced sexual abuse as children. Sexual abuse crosses all socioeconomic groups, all racial groups, all ethnicities, and all neighborhoods. Often the perpetrators are the least suspected: a family member, a coach, a neighbor. Signs of abuse in kids can be subtle. They are often attributed to something else. If kids do try to talk about feeling scared or not safe with someone: LISTEN. They don’t make this stuff up! I appreciate the organizations that require background checks on all adults around kids. I have had my background checked on many occasions: job related, coaching my daughter’s cheerleading squad, volunteering at my children’s school, and volunteering at a local children’s theater. I was never offended by these requests and always supported these checks, but some parents grumble. I suspect they just don’t understand. 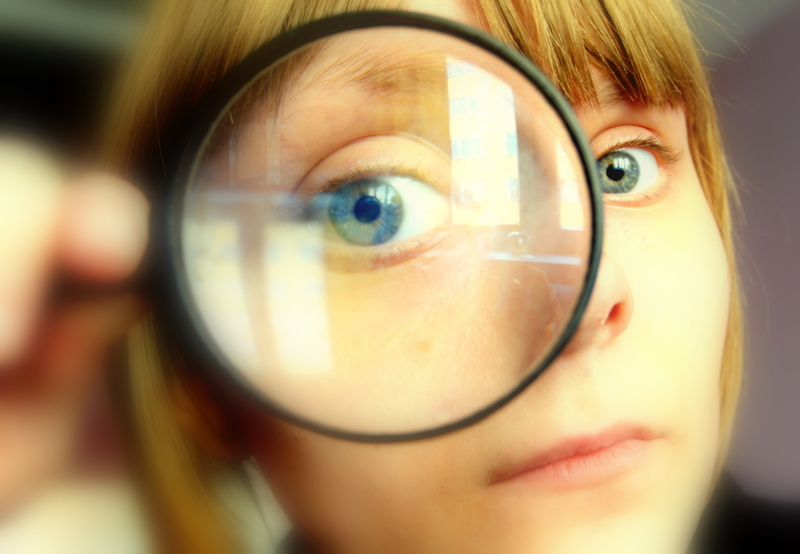 Many schools, sports organizations, and scouting organizations require teachers and volunteers to have routine background checks. Does yours? I am not even sure how I feel about this. I suspect it gives a false sense of security, knowing that many abusers have many victims before being caught. They would have normal background checks. They are often personable, friendly, someone who grooms victims and their families to gain trust. If background checks aren’t full proof protection, what should a parent do? I believe that the best protection about abuse is to show love to your children, educate yourself and them about abuse, and frequently talk with them. Teaching kids about proper boundaries is important. Let them know that their swim suit area is private, and no one should be able to look or touch there without permission from mom or dad. Young children should learn their full address, phone number, first and last name (and first/last names of parents). Remind kids that there are no secrets between kids and their parents. They can tell you anything. They can keep your birthday gift a surprise though! Secrets that scare them are especially important to tell! They will NEVER get in trouble for telling about a scary secret. Know your children’s friends, their friend’s parents, teachers, coaches, piano teachers, etc. Offer to help as much as possible at school and activities. 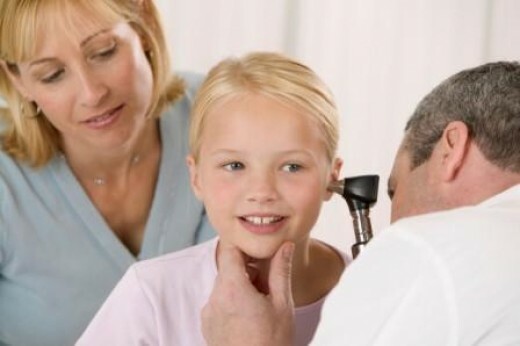 Be sure there are no secluded areas in the places your child goes. Kids should always remain in a group with adults. A minimum of two adults is safest. For your protection, if you must take other kids to a public restroom, stand in the main door with it open and let the kids go into stalls alone. Teach kids that adults will never need help from kids to find a missing puppy. Adults can ask other adults, not kids, for directions if lost. Give examples and role play. Caution kids when they wear shirts with their name clearly posted on the outside that strangers will “know” their name. Stay especially close when your kids have their name displayed. It is easier for a stranger to trick them: “Johnny, your mom told me to come get you. She is hurt. Come with me.” What kid wouldn’t question that??? Question about new toys or gifts. Kids might earn token gifts from coaches or teachers as a reward system, but if your child is getting bigger, more expensive gifts, that is a cause for alarm. Parents of today need to learn about protecting kids on line. Bullying now does not stop in the safety of one’s home. On line threats, photos, and comments follow kids everywhere and are very dangerous. Keep computers in public areas, monitor cell phone use, teach kids to never give identifying information on line, and use a computer monitoring system. Abusers often target kids who are feeling unloved. They groom those kids (and their families) by befriending them, making them feel special, and giving them gifts. The kids start to deeply care for that person, and then the confusion of feelings does not allow the child to easily tell on the person. Show your kids love in many ways: time spent one on one talking and playing (not watching tv), show interest in your children’s activities, give good touches (ruffling hair, pat on the back, hugs), and build your child’s self confidence. Building confidence in kids is tricky. Be careful in how you word things… it is always okay to say “I enjoyed watching your game,” whether your child was the star player or had a horrible game. You can say something about how proud you are of the effort they put into something even if the outcome wasn’t good. Try to avoid saying “better next time,” since that means they didn’t do well this time. Praise frequently and honestly from the heart. Create a safe environment at home. If kids witness fighting among parents, or parents don’t treat others with respect, the children will learn that this is acceptable behavior. They have a strong potential to get seriously injured at home or to enter abusive relationships as adults. Seek help if your home is not safe! Use a public computer if yours might be monitored and click here or call 1.800.422.4453 (1.800.4.A.Child) from a safe phone. Learn more about protecting against abuse and what to do if you suspect it. There are on line resources, such as TheSafeSide or PreventChildAbuse, and locally The Sunflower House to learn about abuse. GetNetWise and NetSmartz411 have information about keeping kids safe on line.